This is my first track so I know it's not the best but, I think it's good enough to post. 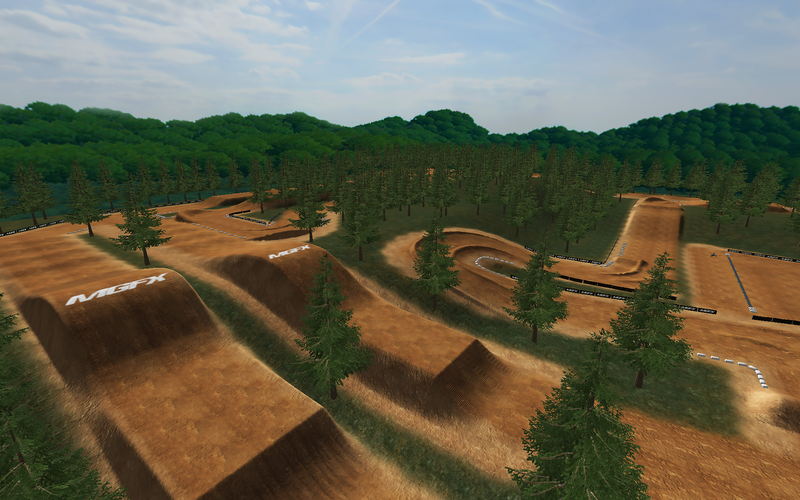 This track is meant for erode to be on, I made most of the ruts small but big enough just in case you didn't want to use erode. I think playing without it is good, personally I feel that it's better with erode on a low setting. It's a bit wide but by the time everything was made and built, I didn't want to change it really. I tried to make sure people couldn't really cut anything and that's why I have bales around the track with collisions. I tried to not put them in the way so that you have room for error. Also I made it rough in some spots and I tried not to get too crazy with it so yeah. Also I know the track folder is not the same as the name of the track but, I didn't want to change everything in the folder. IDK That's really it! I hope everyone has fun on the track. I'm not 100% sure who made the decals and trees but thanks to whoever made them.